Sorry no blog posts in the last few days. I'm working on taxes, yikes! I am bound and determined to get them done by tonight and not file an extension so I'm busy woring away every chance I get. Back to blogging tomorrow……..
Its that time of year again! Wow, does time go by fast. The Country Village annual Easter Egg Hunt, EGG-STRAVAGANZA takes place tomorrow. Here's all the info…….. Participating shops will have a special Easter basket filled with eggs for you to select from. 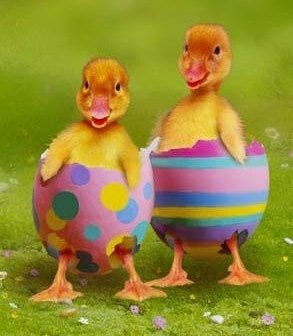 Eggs are randomly filled with candy, special prizes, or gift certificates. You might be the lucky one to draw a dinner at Stella Mia Restaurant, a $20 gift certificate good at any Country Village shop, or even our grand prize – an original wood carved bear from Rainy Day Bears! (See photo bellow). 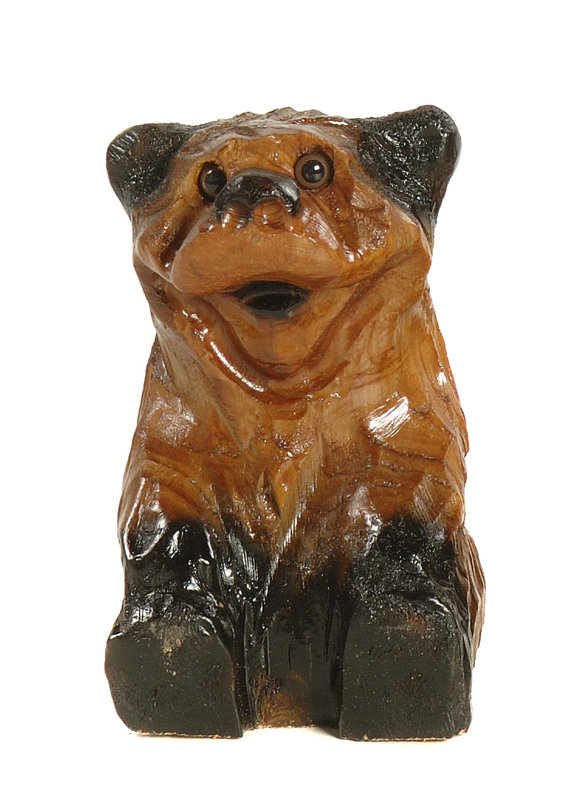 You could win "Bleu", an original wood carved bear from Rainy Day Bears , in the Eggs-travaganza. Bella and Max vs Bella Max…. is this confusing? Well, this last Saturday was very interesting. The salon was very busy, two stylists going starting right at 10:00 and booked for most of the day. The phone was ringing, people calling for appointments and the sun was out. What a beautiful start to a Saturday. Then a customer comes up to pay for her haircut and says…. 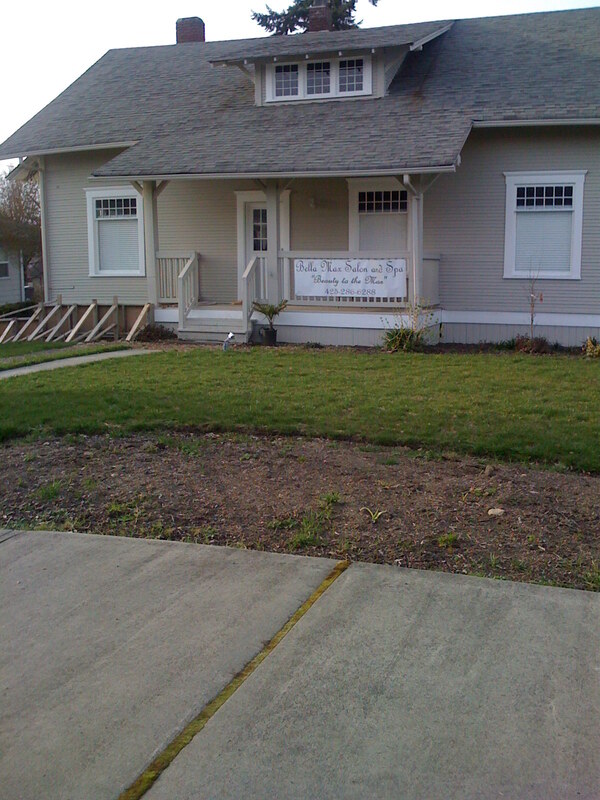 Did you know there is a salon opening in downtown Bothell called Bella Max Salon and Spa? (Enter screeching sound here) She left, called me about five minutes later because she was nice enough to drive there and get all the information for me, address and phone number. Seriously, if it was April 1st I would have thought it was a joke. I called the number so that I might have a nice conversation with the owner or someone in charge to let them know about us, maybe they didn’t know who we were and that our name is Bella andMax, but I left a message and no call back. hmmmm…. I would like to think this is an honest mistake. That someone opening a spa really doesn’t want a bunch of kids showing up for haircuts and that she wouldn’t want her customers to head our way thinking they were coming in for a spa treatment only to find a Blue Angels Jet to get a haircut in, thus causing late appointments on either side. Or that she wouldn’t want people showing up looking for kids clothes. We drove by so I could see for myself and take a photo for my blog (of course) and then we drove around the block. On our way back by the front, as we were leaving, a woman walked out and I assume it was the owner since they aren’t open yet. Why didn’t she call me back? Customer confusion could be a problem. Not long ago I posted something about my cousin being in hospice, kind of an off-hand remark at the end of another post about treating people nicely because you don’t know what is going on in their lives. She passed away recently and while she was in hospice we got the bad news that her mother, my aunt, had the same form of cancer. It’s been a pretty rough month or so. Moving a store, being a wife and mother and dealing with the heartbreak of what is really inevitable for all of us, death. On the outside I’ve been trying to stay somewhat upbeat and happy on the inside, not so much. Last night my two cousins and I decided to get together for a little girl talk, bonding time. They are my only two cousins in the United States and I grew up really only seeing them during the holidays, even though we live so close. It’s sad really that we don’t know each other better, that we are family and we kind of just know a little about about each other, not a lot. Not like we should. But on the flip side, all this “stuff” we are going through is bringing us together again as a family. I have not, in a very… very long time, laughed like I did last night. Laughed so hard tears came to our eyes laugh. Although there were tears of sadness, the tears from laughing felt so great. We talked about our kooky families, our childhood, memories of our parents from each others prospective, how everything has turned out. It felt SO good to just talk and laugh and cry. All for three hours in a Chipotle restaurant. People probably thought we were nuts and the staff probably just wanted us to go home, we closed the place (if you can actually close a Chipotle). After we left Kelli gave me a ginormous (if that is really a word) amount of Barbie stuff that my cousin Jenny had. She told me to give them to my girls and for them to have all their friends over to have a Barbie party and for all the girls to take stuff home. That Jenny would love that. After I returned home the girls were still up and we took a peek at all the Barbie stuff and my goodness, they lit up. There were so many shoes and clothes and dolls. And some were old and so cool. There is even an astronaut Barbie. The girls wanted to play with them and I found myself saying no, these are old… they’re collectible, and wondering to myself if I could really invite Bella’s friends over to give these things away that belonged to my cousin that is no longer here. I don’t know, maybe it’s too soon, maybe I will be able to someday. Even though a part of me says it’s just stuff, it’s not her and she would love it for the girls to play with them and share them, I can’t yet. I still put them up, up where the girls can’t reach them and where they will be safe. I learned a lot in the three hours I spent with Kelli and Nora last night. I need to laugh more, enjoy life more, appreciate who I have in my life more and not worry about the stuff that’s out of my control. That I can’t control so many things and that I don’t have to. A lot is going on in the world right now but…. life is short. There’s important things and the things that aren’t so important. This isn’t a dress rehearsal, this is the life we get and we should all live it with love, happiness and to the best of our ability. So what if sales tax is going up today, I have great people in my life and I am alive and that’s all that matters to me.